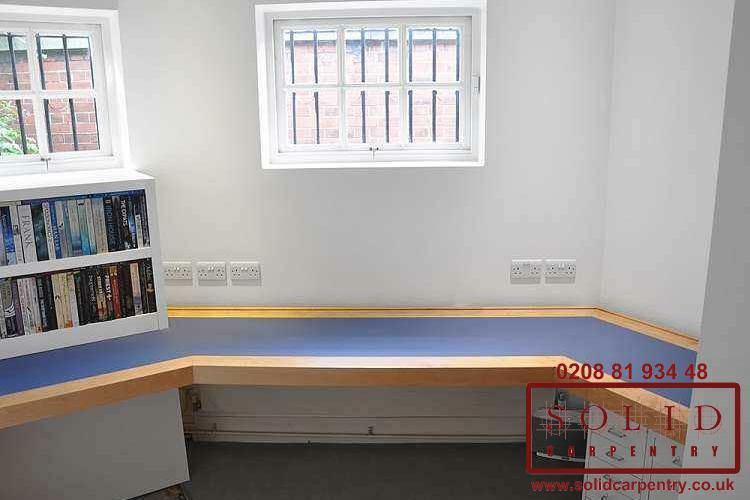 Have a clumsy room layout? 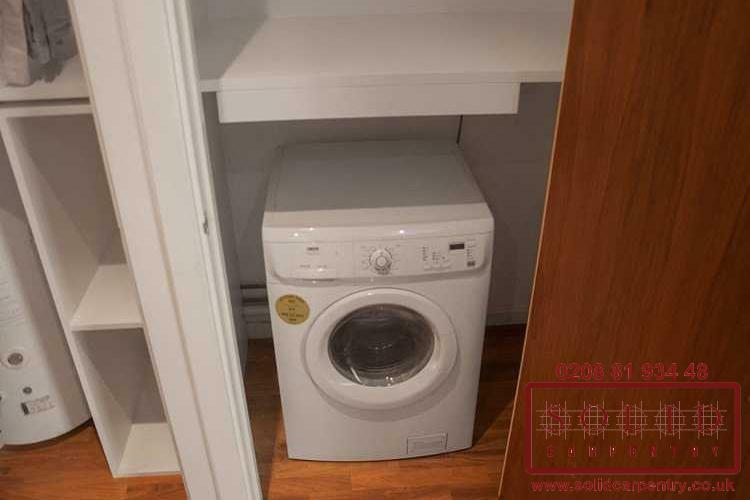 An awkward corner you’d like to use? 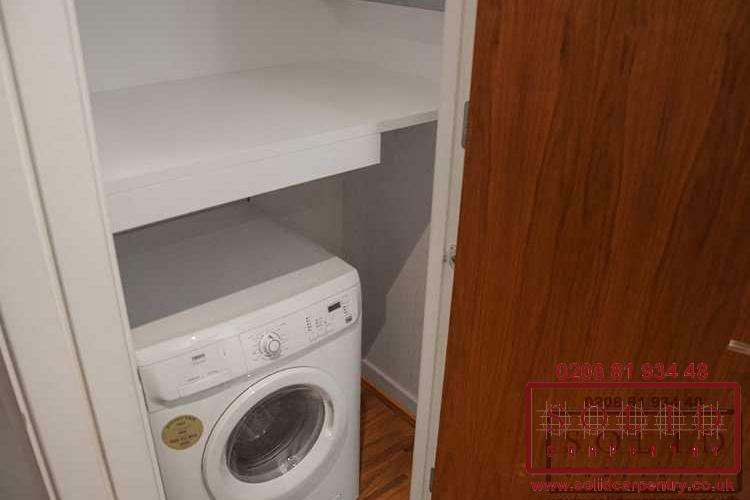 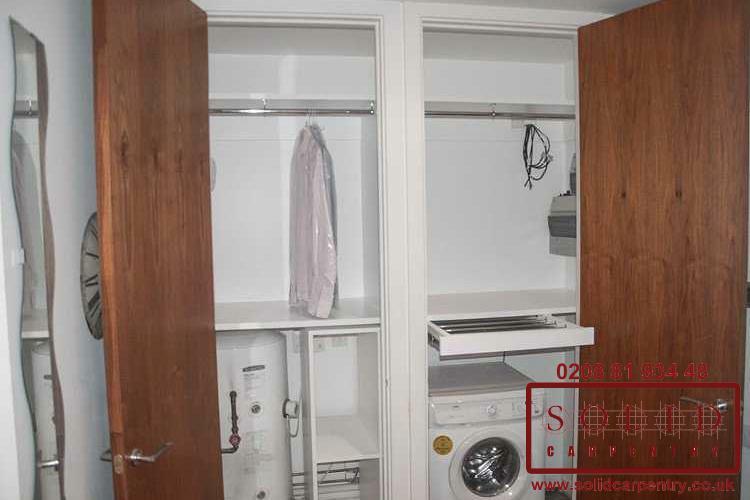 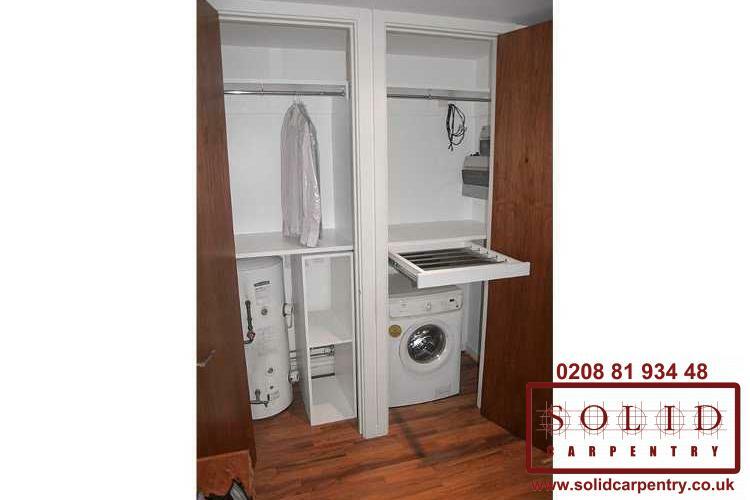 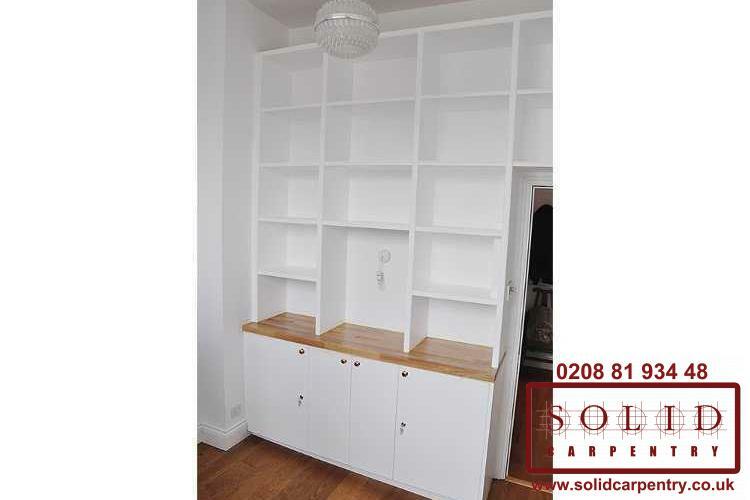 A lot of empty floor or cupboard space? 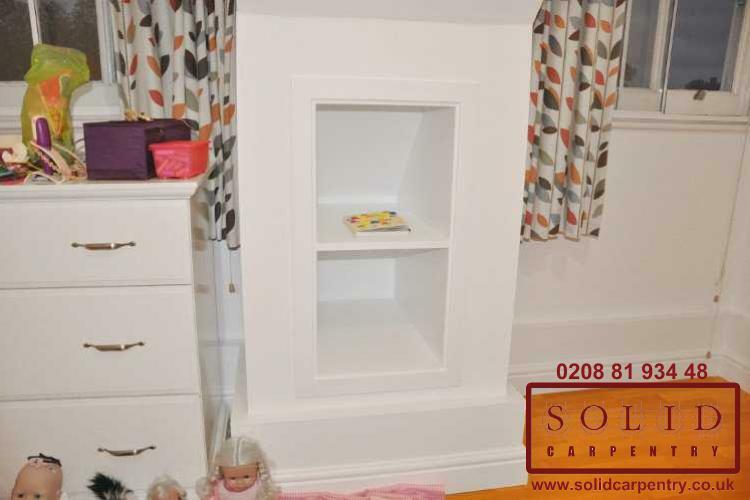 As you can see in our portfolio work at the left, bespoke furniture could be the answer to your home décor and storage troubles. 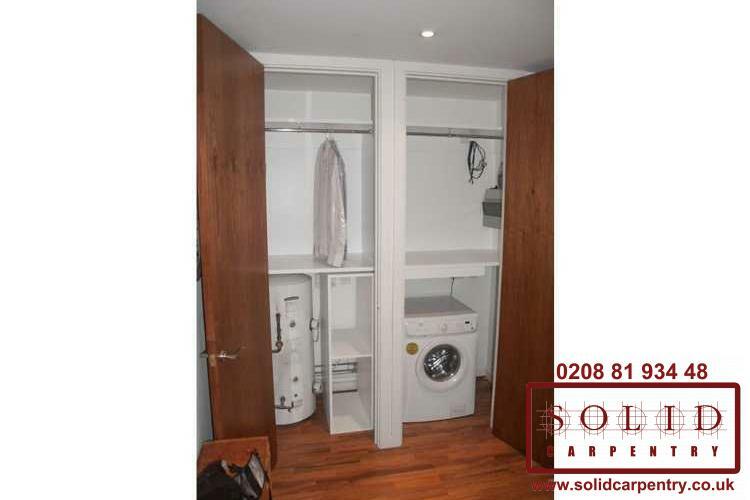 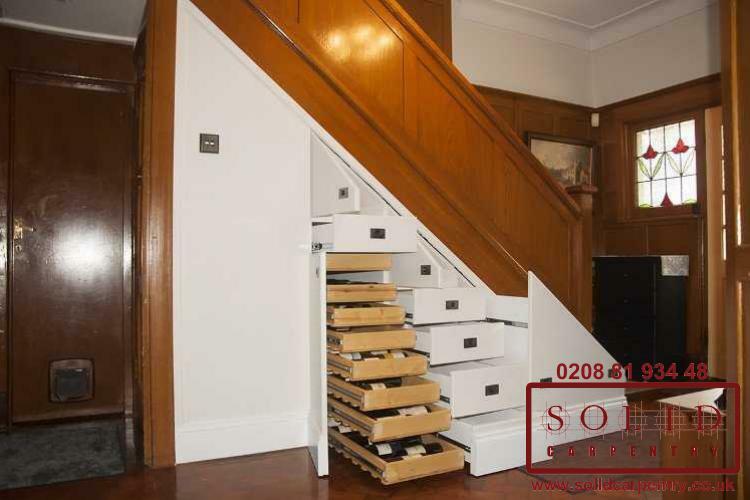 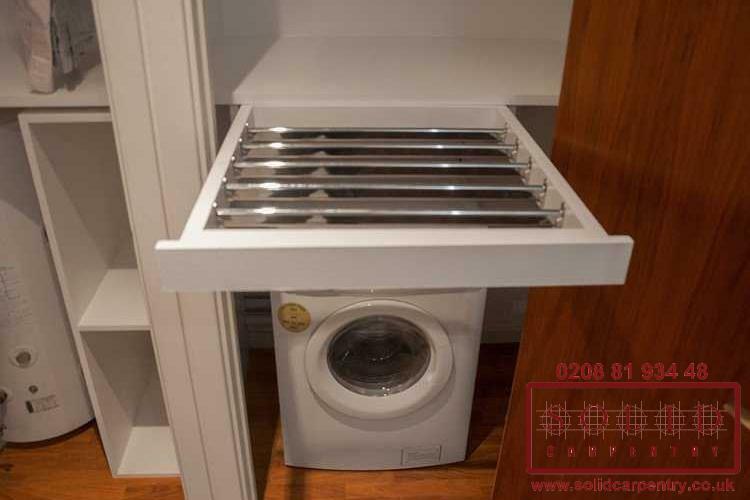 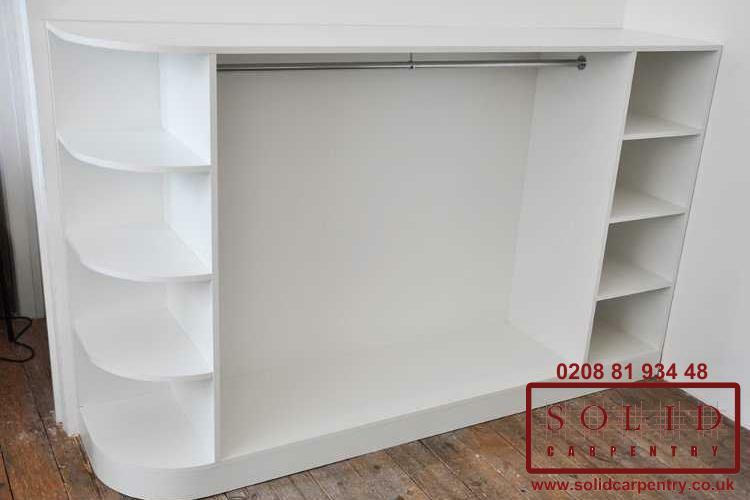 In these projects we worked closely with our customers to design and install high-quality made-to-measure furniture solutions in London, including cabinets, shelving, desks, media units, under-counter cabinets, wardrobes, and wine racks. 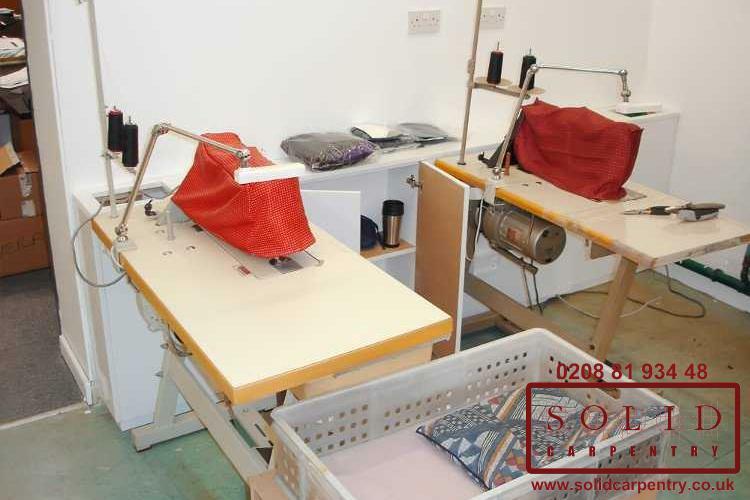 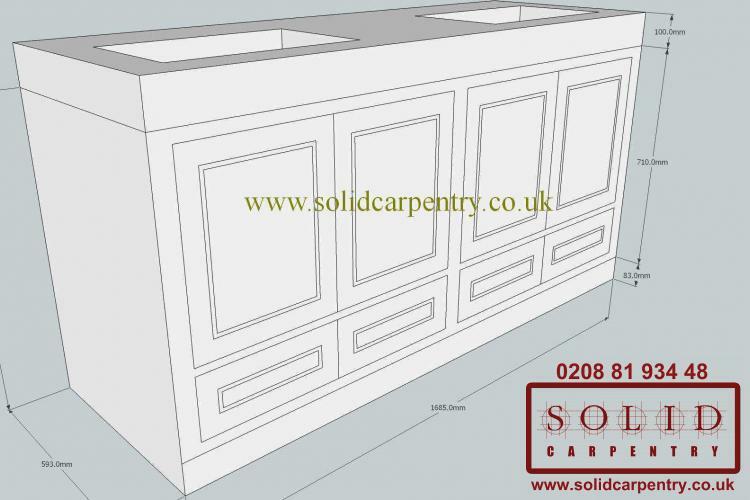 Each design showcases how bespoke furniture is crafted and tailored to the customer’s individual needs and lifestyle. 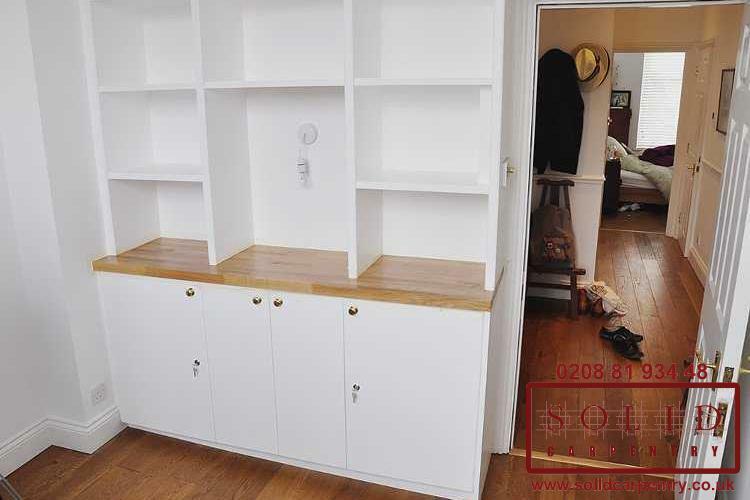 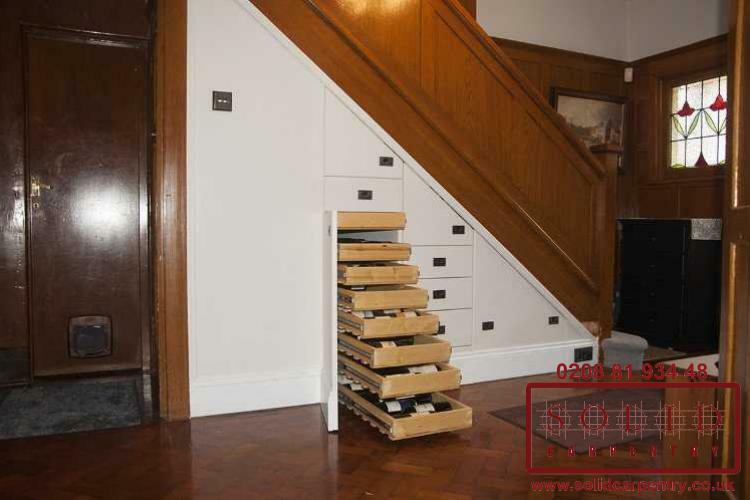 As you can see, even the smallest of spaces offers room for a functional, yet elegant storage solution that will keep your living space free of clutter and superbly organised. 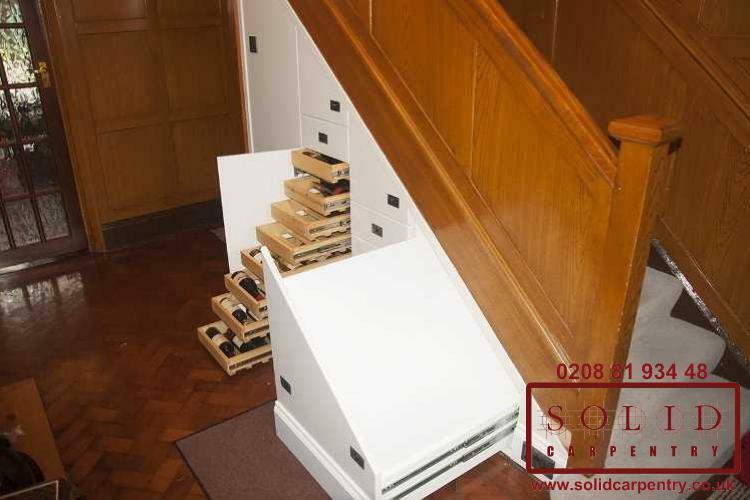 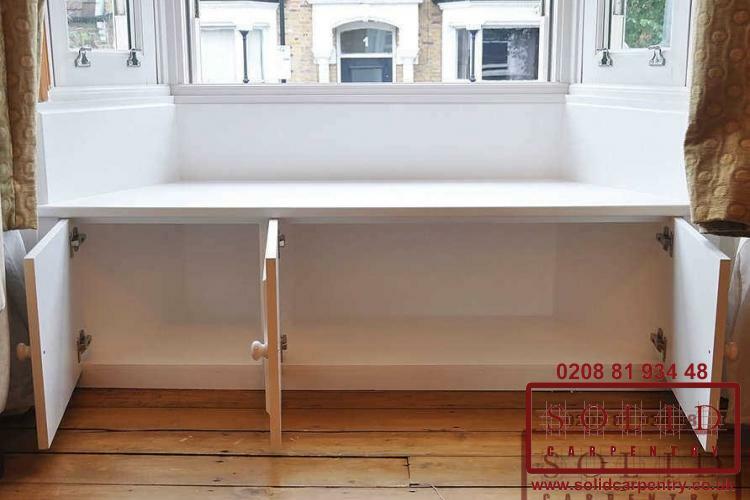 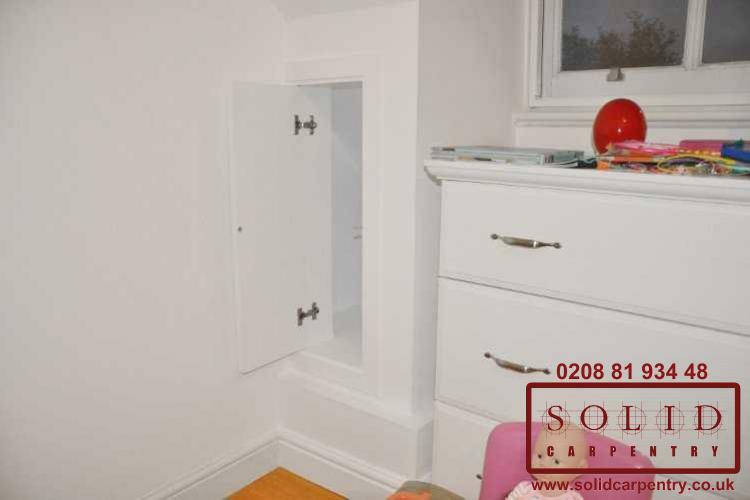 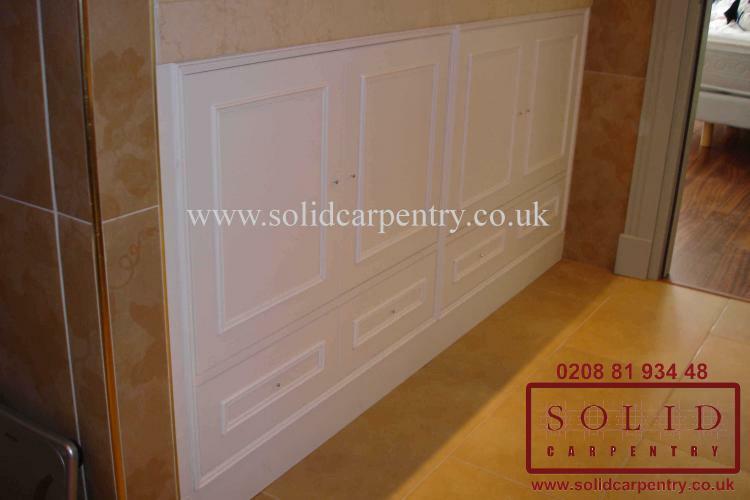 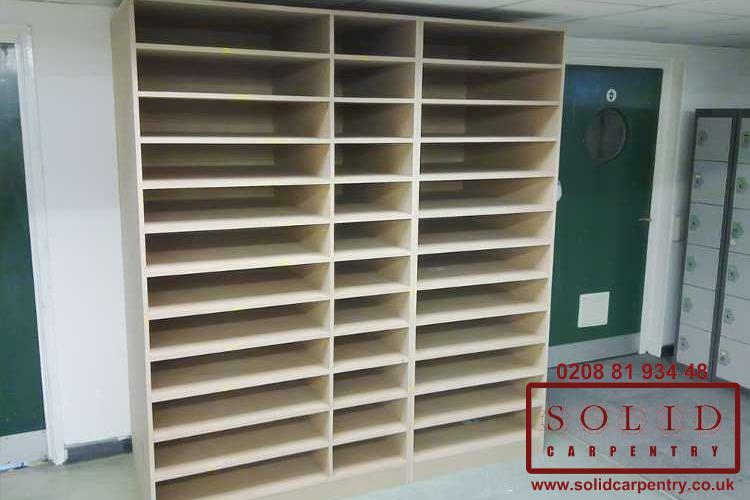 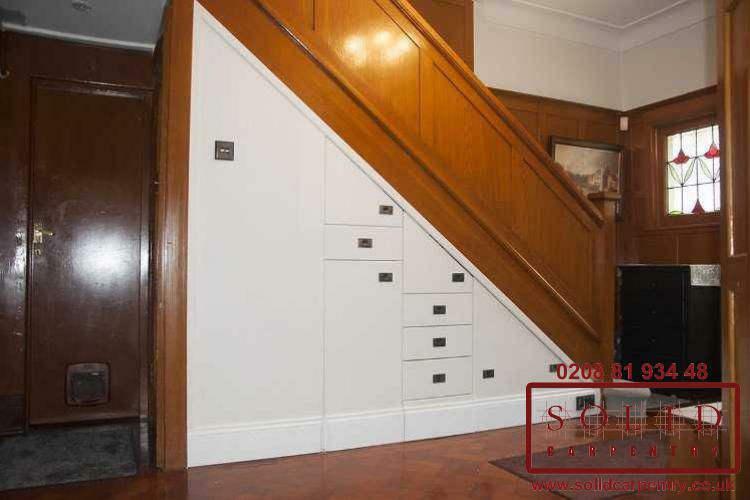 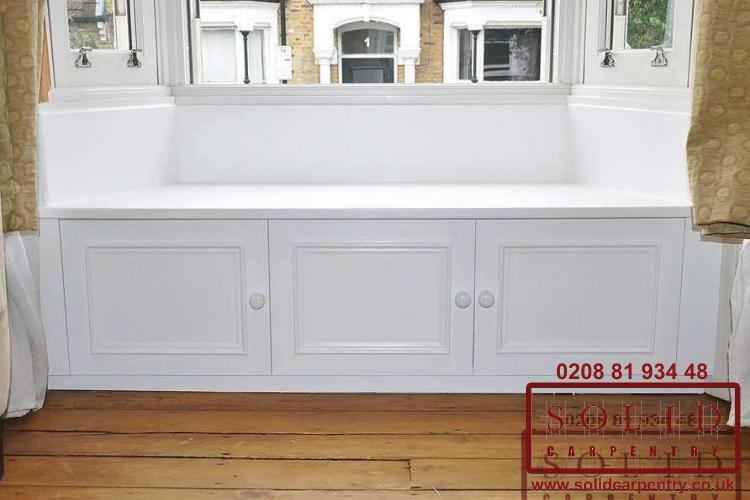 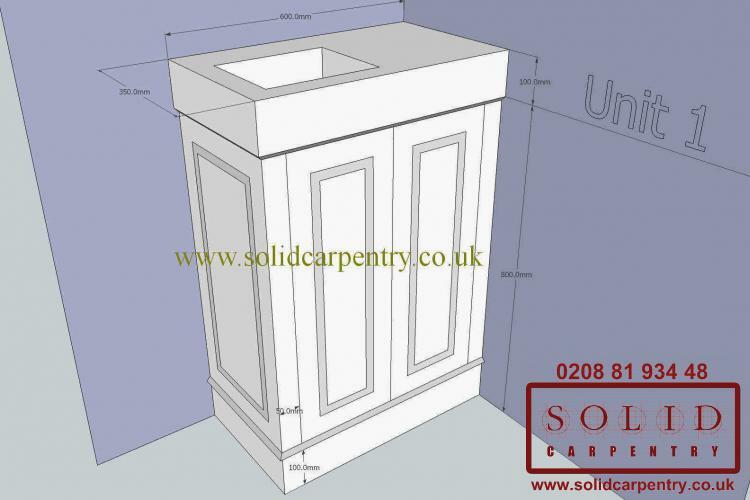 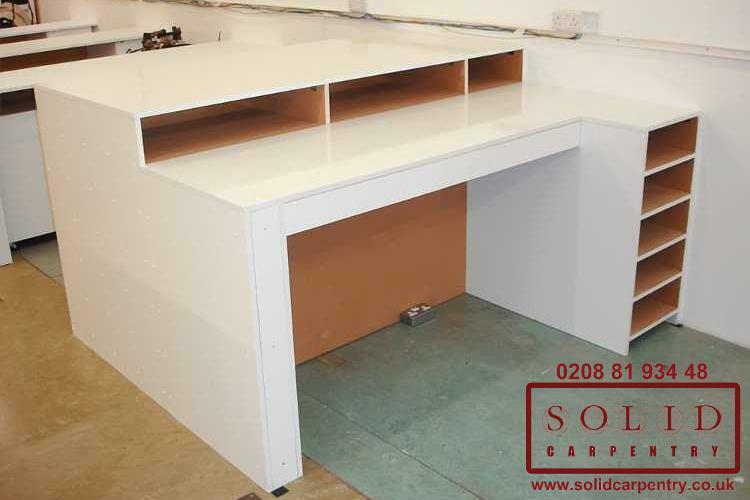 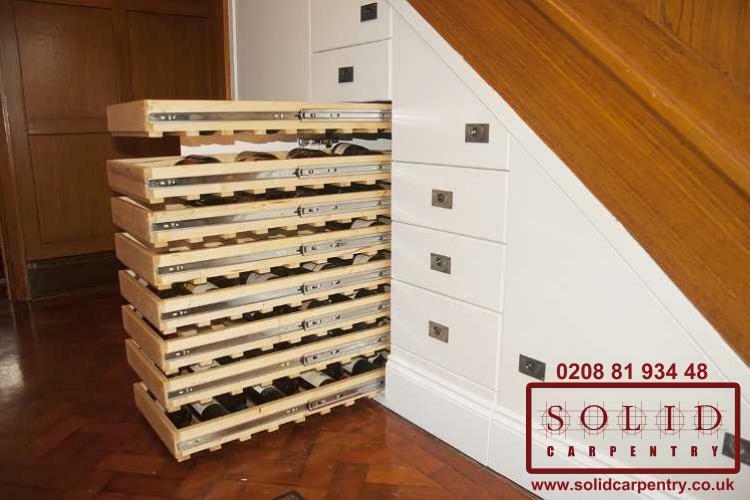 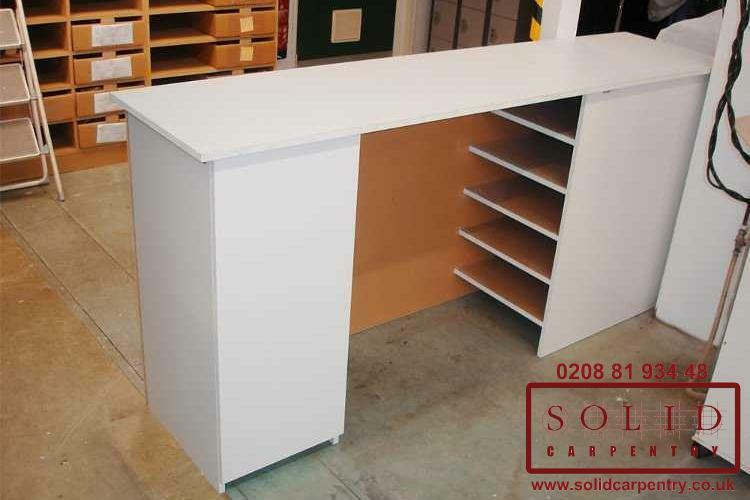 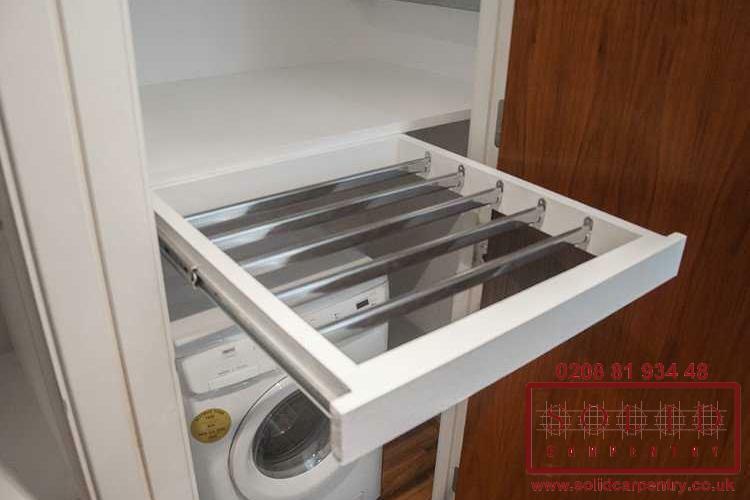 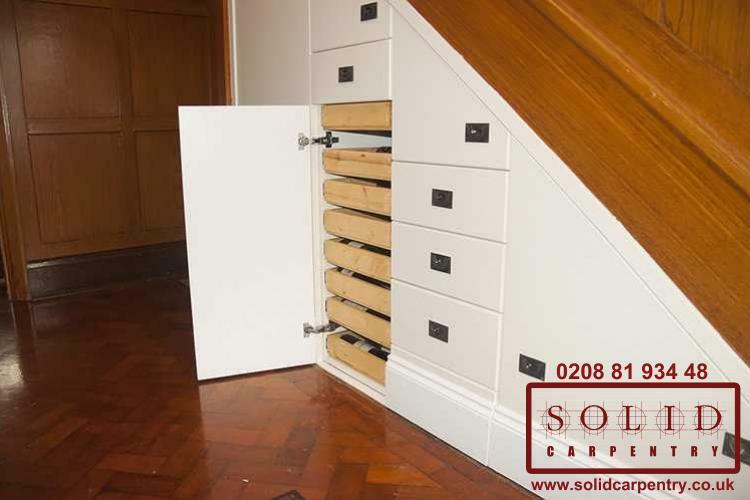 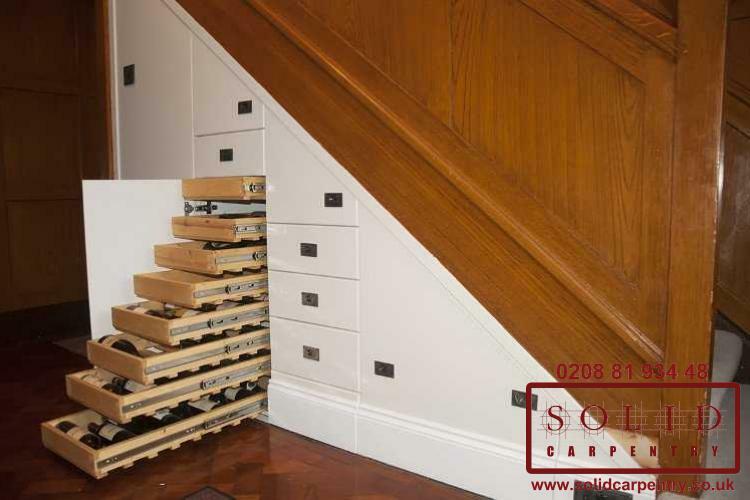 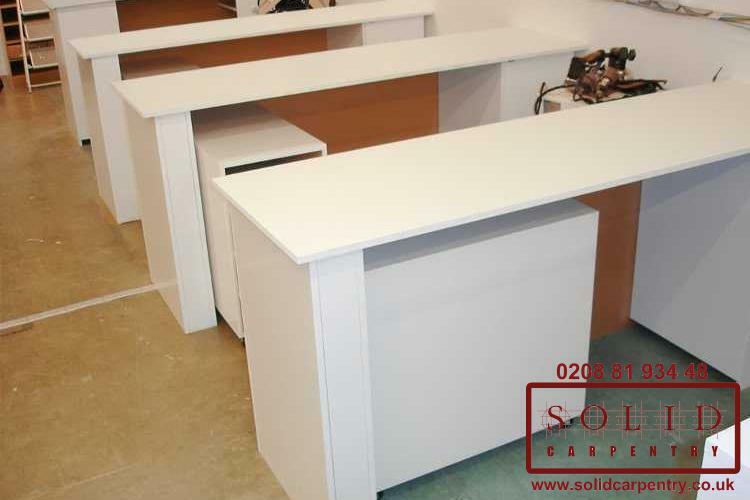 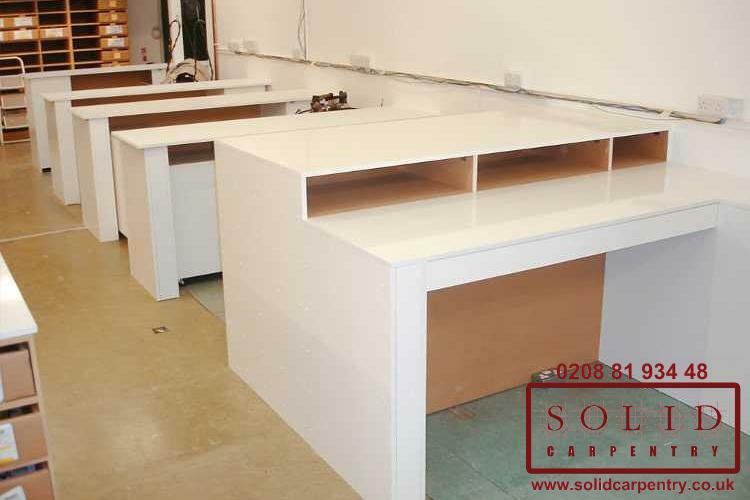 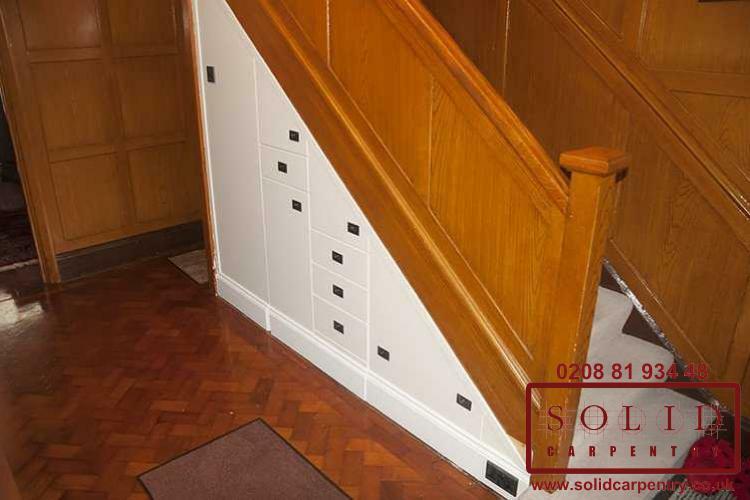 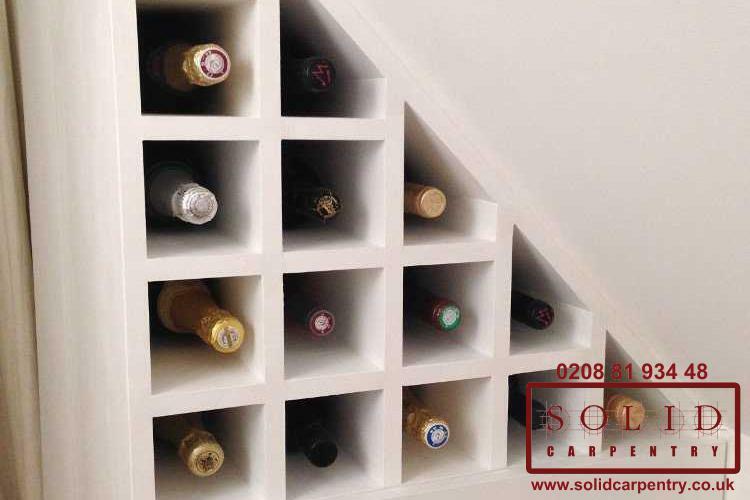 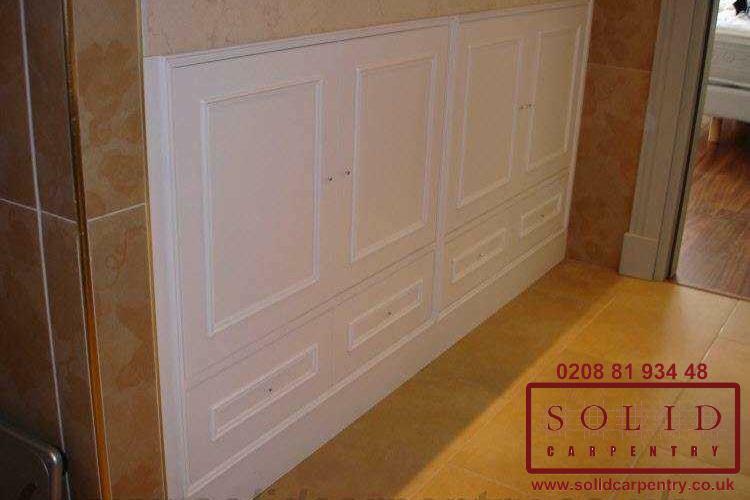 At Solid Carpentry, we can create and install fitted furniture units into any area of your home or office space, ensuring it is designed to complement your living or working space. 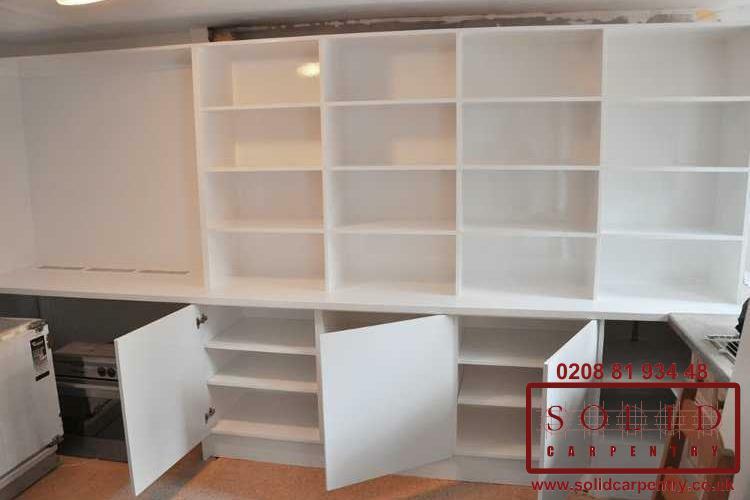 Whether it’s bespoke home office furniture, fitted wardrobes, alcove shelving or an integrated entertainment system unit, you will benefit from furniture that suits the layout of your room and provides functionality designed with your specific requirements in mind. 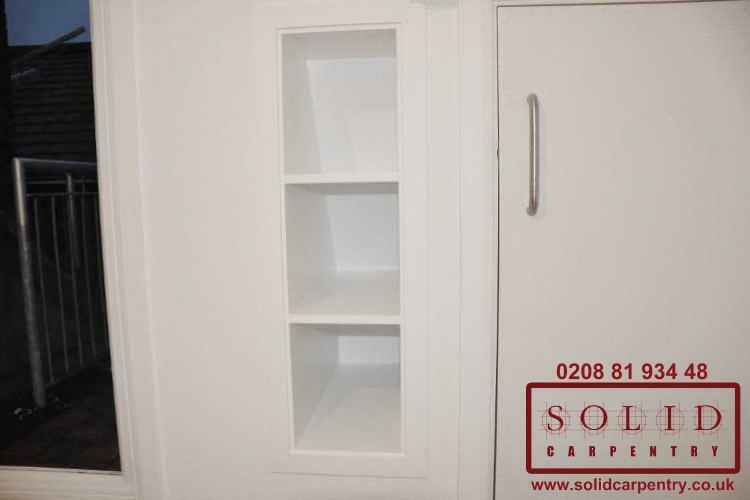 Incorporate storage cabinets into an empty recess in your living room, install your dream bespoke fitted wardrobes, or create a home office that ensures everything you need is exactly where you need it. 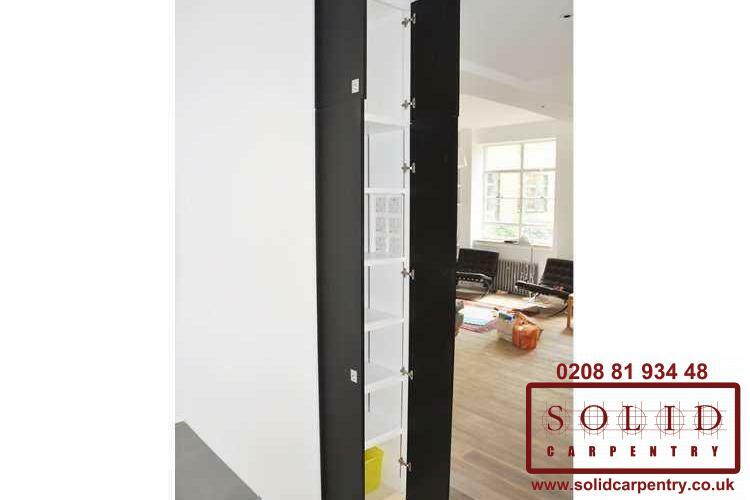 With bespoke furniture, the possibilities are limitless! 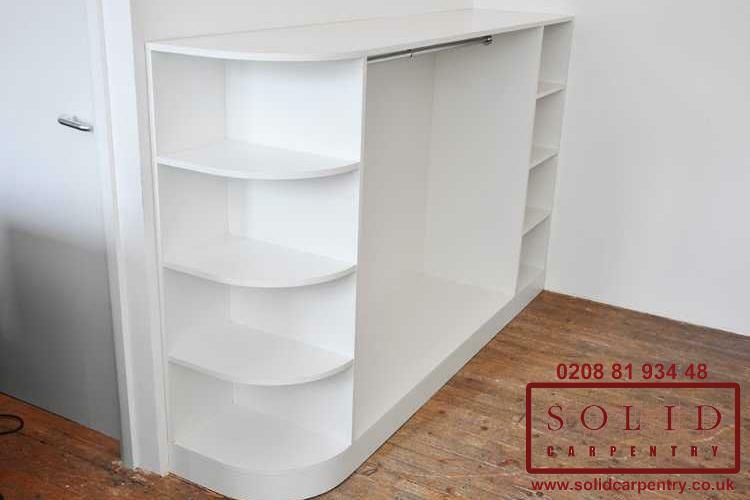 Contrary to what you might believe, bespoke furniture offers you much better value for money than ‘off-the-shelf’ or mass-manufactured storage solutions. 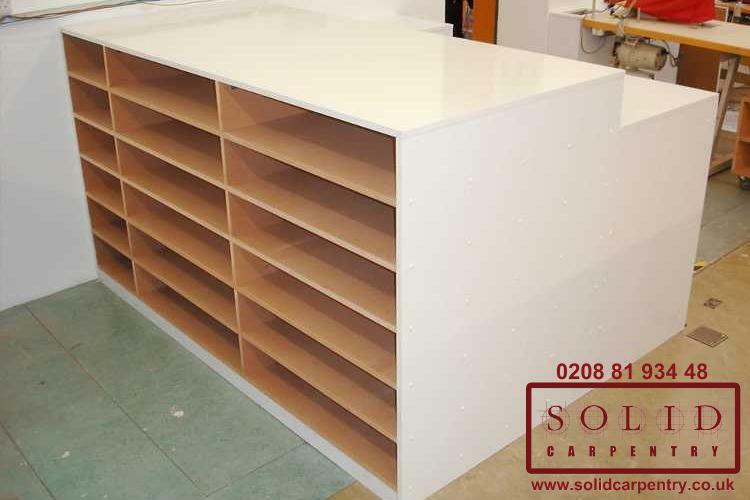 Not only is custom-made furniture made to meet your individual needs, at Solid Carpentry we construct our furniture units using the finest materials and to the highest standard, which means you get a superior storage unit that has been built to last for years to come. 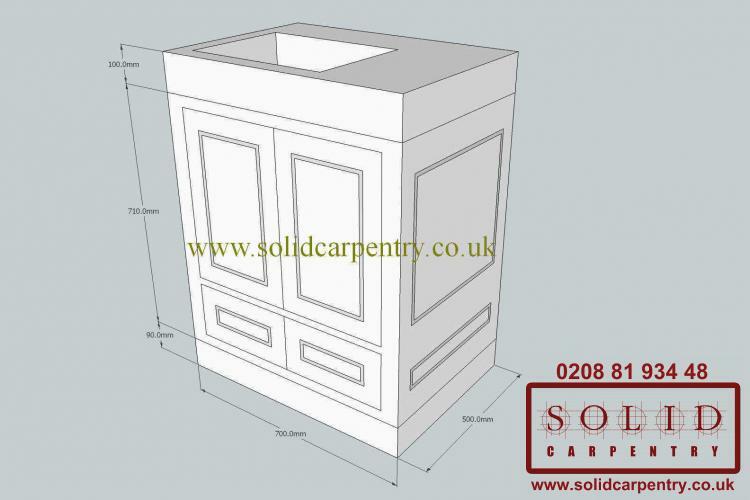 Have a bespoke furniture idea in mind? 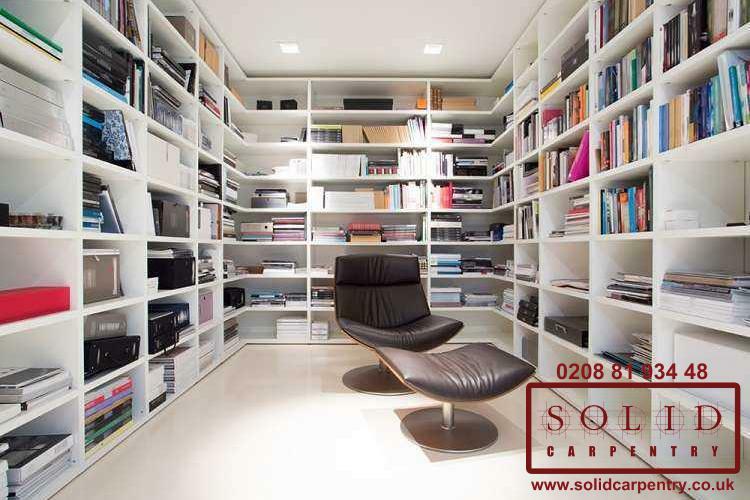 Call us today to find out how we can help or request a free no-obligation quote online.